ABC has ordered 9 additional episodes giving it the new comedy a full 22-episode season. Hit freshman comedy “Single Parents” has been given a full-season order, Channing Dungey, president, ABC Entertainment, announced today. 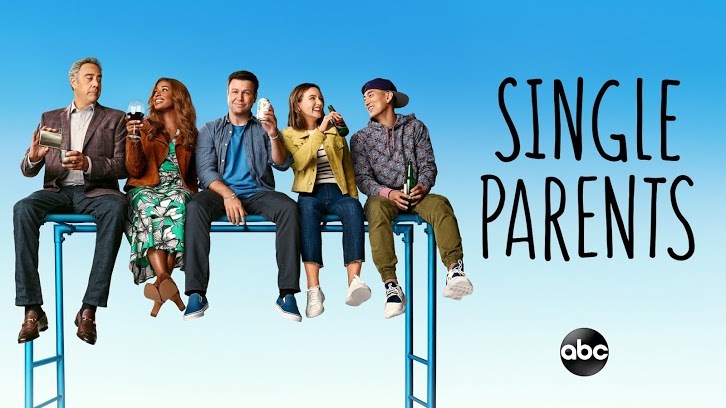 In the Live + 3 Day ratings, ABC’s “Single Parents” is the No. 2 new comedy of the season in Adults 18-49, behind only ABC’s “The Conners,” and ranks No. 2 in its highly competitive Wednesday, 9:30 p.m. half-hour. On average through its first three episodes, the ABC freshman comedy is drawing an audience of 5.6 million viewers and is delivering a 1.6/7 in Adults 18-49. The series is from 20th Century Fox Television and ABC Studios. JJ Philbin and Elizabeth Meriwether are creators and executive producers. Katherine Pope, Erin O’Malley and Jason Winer are also executive producers. “Single Parents” airs Wednesdays at 9:30 p.m. ET on The ABC Television Network.